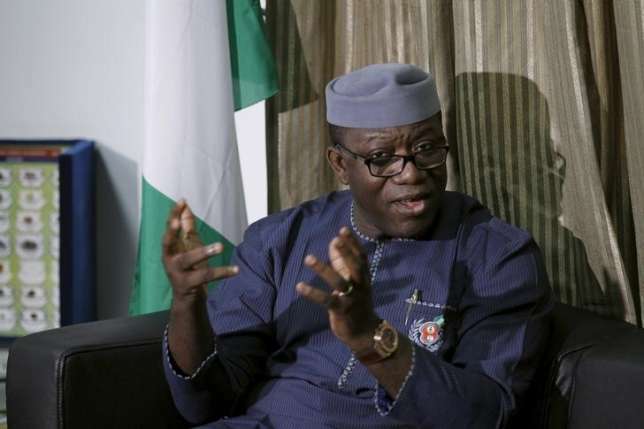 The All Progressives Congress candidate, Dr. Kayode Fayemi, has been declared winner of the Ekiti State governorship election. The Chief Returning Officer, Professor Idowu Olayinka, made this declaration at the INEC office in Ado Ekiti at the end of the collation of results from the 16 local government areas of the state. Fayemi defeated his closest rival, Prof. Kolapo Olusola of the Peoples Democratic Party, in 12 LGAs. The APC candidate polled 197,459 while Olusola scored 178,114 votes.